The Narnia Chronicles, first published in 1950, have been and remain some of the most enduringly popular children's books ever published. 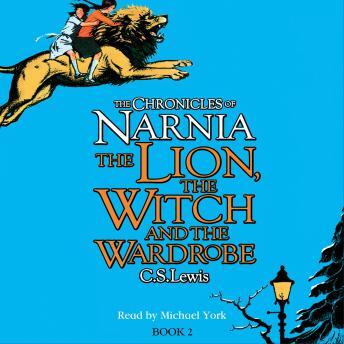 The best known, The Lion, the Witch and the Wardrobe, has been translated into 29 languages! "It's a magic wardrobe. There's a wood inside it, and it's snowing! Come and see," begged Lucy. I've enjoyed this book since I don't know when... a long time, anyway. When I read that Michael York is the reader, I thought: "Really? Hiring an actor to do a book reading? I wonder..." Well, no need to wonder 'cause Mr York does a marvelous job at presenting the story to the listener. He faithfully does multiple voice characterizations... something like Hank Azariah and Mel Blanc. I hope that the other readers are as good as Mr. York.